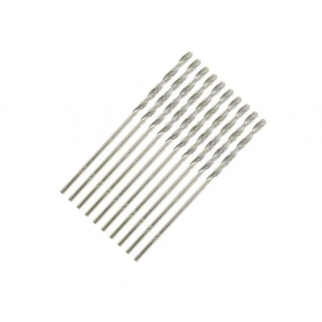 The Universal Tool Chrome Vanadium Steel Tamper-Proof Drill Bits and Magnetizer Set contains 34 pieces which are handy to have in the workshop for making or repairing anything you can think of: electronics, automobiles, watches, jewelry, glasses, and any other project you can think of. The Universal Tool Chrome Vanadium Steel Tamper-Proof Drill Bits and Magnetizer Set contains 34 pieces which are handy to have in the workshop for making or repairing anything you can think of: electronics, automobiles, watches, jewelry, glasses, and any other project you can think of. 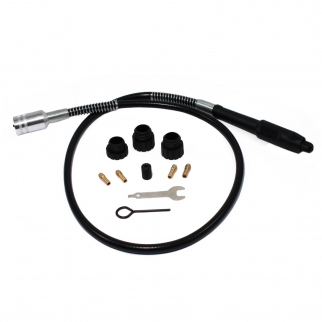 Why waste time and money trying to find a maintenance specialist when you can have one set that will pay for itself? The wide assortment of bits allows you to open various kinds of fasteners. STURDY MATERIAL - The set comes in a pack of 34 bits that are made of Chrome Vanadium for durability. 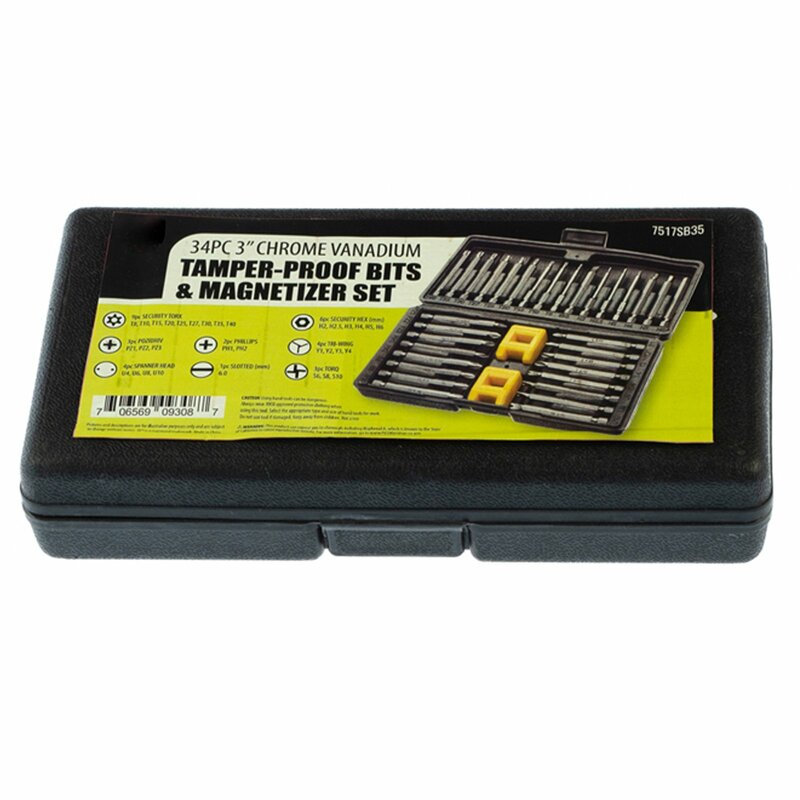 TAMPER PROOF - The Tamper-proof bits help prevent your work from being tampered with. EASY TRANSPORTATION - This set comes already organized and labeled in an easy to carry storage case to make transportation easier. MUST HAVE - It is useful to have to help you build and fix items. GREAT FOR ANY PROJECT - This product is great for craftsmen, hobbyists, repairmen, DIY, jewelry, electronics, automobiles, watches, glasses, home improvement, and more. 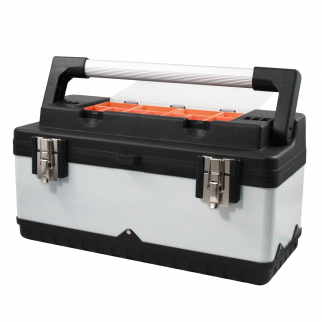 Universal Utility Tool Box Steel and Plastic Lift Out Tray 11 Storage Containers $ 42.99	• 39% off! Diamond Drill Bit Universal High Quality Set 5/64 inch 10 Piece Home Improvement $ 8.99	• 44% off!